• Greens elected in a single-seat, first past the post Federal election, exclusively on a Green Party ballot line, in competition with all of the other major parties (6): Elizabeth May (Canada 2011), Caroline Lucas (England 2010), Hans-Christian Ströbele (Germany 2002, 2005, 2009) and Jeanette Fitzsimmons (New Zealand 1999). • Greens elected in a single-seat, single-transferable vote Federal election, exclusively on a Green Party ballot line, in competition with all of the other major parties (1): Adam Bandt (Australia 2010). • Greens elected in a single-seat, single-transferable vote Federal by-election, exclusively on a Green Party ballot line, when a candidate of one of the major parties did not compete (1): Michael Organ (Australia 2002). In this election the conservative party (the Liberals) did not contest the race. • Greens elected in a single-seat, first past the post two round run-off Federal election, exclusively on a Green Party ballot line, when a candidate of one of the major parties did not compete (7): In 2002 three French Greens were elected in this manner (Marie-Christine Blandin, Yves Cochet, Noël Mamere) where the Greens and the Parti Socialiste had a coalition where only one candidate between the two parties would contest each constituency. 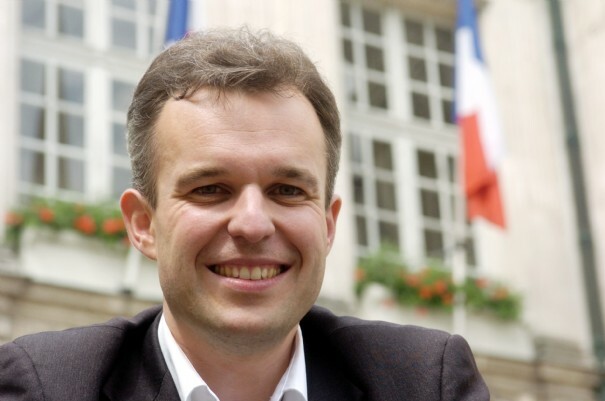 In 2007 Blandin, Cochet and Mamere and a fourth Green François de Rugy) were elected without Socialist opposition, this time with no formal coalition. • Greens elected in a single-seat, first past the post Federal election on a Green ballot line and that of another party (4): In 2009 four Greens were elected in single member districts to the Mexican Federal House of Deputies in an alliance with the Institutional Revolutionary Party (PRI), where each candidates appeared on both the PRI and PVEM (Partido Verde Ecologista de México) ballot lines. In each case the majority of votes came on the PRI line. They are Alejandro Carabias Icaza, Juan Carlos Natale López, Norma Leticia Orozco Torres and Liborio Vidal Aguilar. Election results: Finished first among four candidates in a first past the post federal election. Received 31,890 votes and 46.3% of the vote. Number of Electors on Lists 91,673. Turnout 75.3%. Election results: Elected from among among six candidates in a single transferable vote general election. First preferences 32,308 and 36.17% of the vote. 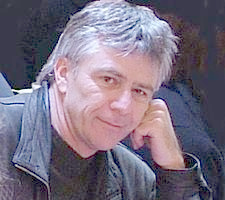 Second of six candidates. Two candidate preferred 50,059 votes and 56.04% of the	vote. Enrolled 102,881. Turnout: 90.09% with compulsory voting. Election results: Finished first among eight candidates in a first past the post general election. Received 16,238 votes and 31.3% of the vote. 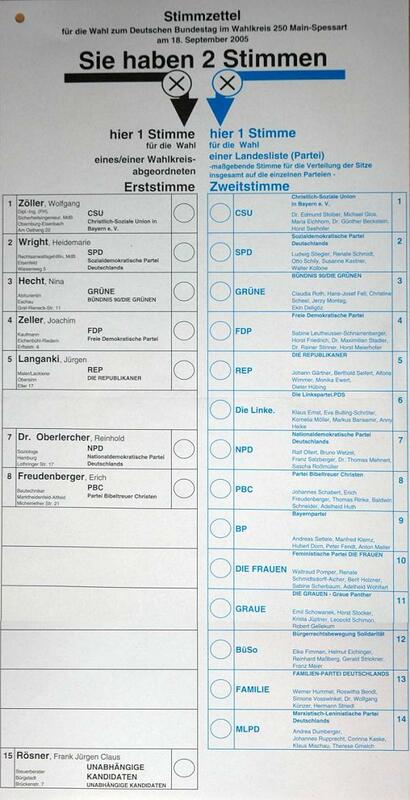 Election results: Finished first among six candidates in a first past the post ('direktmandate') general election (see 'esrtstimme' on this sample ballot). Received 73,897 votes and 46.7% of the vote. Election results: Finished first among two candidates in the second round of a two round run-off election. Received 20.125 votes and 54.25% of the vote in the second round. Inscrits: 63,045. Votants: 37, 817. Turnout: 59.98%. Received 14,554 votes and 37.09% of the vote in the first round. Finished second among 16 candidates. Inscrits 63,049. Votants: 39,560. Turnout: 62,74%. First round held June 10th. Left the Greens in July 2009. Although Les Verts decided agaist an electoral deal with the Socialists for this election, there was no Socialist candidate in this constituency. Election results: Finished first among two candidates in the second round of a two round run-off election. Received 21, 210 votes and 57.17% of the vote in the second round. Inscrits: 59, 985. Votants: 37, 896. Turnout: 63.18% Received 13, 927 votes and 35.79% of the vote in the first round. Finished first among 16 candidates. Inscrits 59,996. Votants: 39,235. Turnout: 65,40%. First round held June 10th. Election results: Finished first among two candidates in the second round of a two round run-off election. Received 26,611 votes and 62.82% of the vote in the second round. Inscrits: 72,243. Votants: 43,935. Turnout: 60.82% Received 17,725 votes and 39.82% of the vote in the first round. Finished first among 12 candidates. Inscrits 72,243. Votants: 45,094. Turnout: 62.42%. First round held June 10th. Election results: Finished first among two candidates in the second round of a two round run-off election. Received 23,029 votes and 52.03% of the vote in the second round. Inscrits: 72,900. Votants: 45,039. Turnout: 61.78% Received 15,800 votes and 34.99% of the vote in the first round. Finished second among 15 candidates. Inscrits 72,900. Votants: 45,767. Turnout: 62.78%. First round held June 10th. Received 69,988	votes and 43.3% of the vote. Electorate: 215,324. Voters: 164,838. Turnout 76.6%. Election results: Finished first in a single transferable vote by-election. First preferences 15,505 and 23.03% of the vote. Second out of 13 candidates. Two candidate prefered 35,160	and 52.23% of the vote. Voters: 72,971. Turnout 89.51% with compulsory voting. Received 49,204	votes and 31.6% of the vote. Electorate 209,818. Voters:158,449. Turnout 75.5%. Election results: Finished first among two candidates in the second round of a two round run-off election. Received 18,327 votes and 50.91% of the vote in the second round. Inscrits: 54,973. Votants: 36,773. Turnout: 66.89% Received 14,554 votes and 37.09% of the vote in the first round. Finished second among 27 candidates. Inscrits 54,987. Votants: 38,948. Turnout: 70.83%. First round held June 9th. The Greens and the Parti Socialiste (PS) agreed to a coalition for this election where only one candidate between the two parties would contest each constituency. Thus there was no PS candidate in this race. Election results: Finished first among two candidates in the second round of a two round run-off election. Received 18,666 votes and 51.83% of the vote in the second round. Inscrits: 53,790. Votants: 36,780. Turnout: 68.38% Received 14,453 votes and 38.07% of the vote in the first round. Finished first among 20 candidates. Inscrits 53,803. Votants: 38,359. Turnout: 71.30%. First round held June 9th. Election results: Finished first among two candidates in the second round of a two round run-off election. Received 21,475 votes and 54.64% of the vote in the second round. Inscrits: 64,918. Votants: 41,038. Turnout: 63.22% Received 16,787 votes and 38.5% of the vote in the first round. Finished first among 14 candidates. Inscrits 64,925. Votants: 44,365. Turnout: 68.33%. First round held June 9th. Received 13,682 votes and 39.98% of the vote. Electors on Master Role: 40,278. Voters: 35,358. Turnout 87.78%.